In-form captain Jamaal Lascelles gave an exclusive interview to the official matchday programme ahead of Sunday’s visit of Liverpool. Lascelles – the scorer of two winning goals in his last three outings – has been an integral figure at the heart of the Magpies defence this term. At 23, the former Nottingham Forest centre half is the youngest skipper in the Premier League, and his early-season form has proven crucial in Rafa Benítez’s side solid start to the campaign. But as a youngster, Lascelles excelled at basketball, too. His father, Tim, is a Derby Storm legend, and his brother, Rema, is a guard for the Leicester Riders. 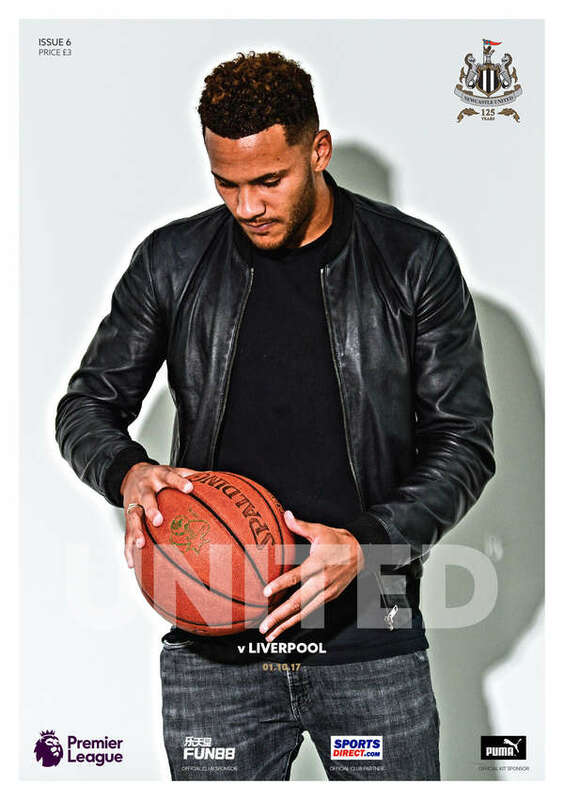 The Magpies man relived his basketball days in this weekend’s issue of United, taking to the Leazes Park court to shoot some hoops. There, Lascelles took on this week’s Big Interview, in which he discusses family, the captaincy and the shift in attitude at the club over the past 18 months. “The players that the manager’s brought in are really talented players, but they’ve got a good mentality, they’re good lads, they work. That’s exactly what you need,” he said. “I’ve never understood why, if you’ve got so much talent, you wouldn’t want to work harder and be an even better player. I guess that’s my mentality. But it’s completely different now. We’ve got a really good group, and it’s shown in the games that we’ve played. Lascelles’ openness and honesty in both good times and bad has not gone unnoticed by the United faithful, and it’s something he explains will not change. “It’s not something I think about doing – I’m just an honest person. I’ll be honest – if we’ve not played well I’m not going to defend the team if they’ve not pulled their weight,” he says. All well as the full ten-page, in depth interview with Lascelles, there is also an interview with Alan Kennedy, who began his career at St. James’ Park before going on to win eleven major honours, including two European Cups and five First Division titles, with Sunday’s visitors Liverpool. In United Backstage, head of sports science Jamie Harley is the latest member of staff to tell their story, while young defender Owen Bailey – captain of the Newcastle side that reached the FA Youth Cup quarter-finals last term – is profiled in High Hopes. Club historian Paul Joannou takes a look at the long list of names linking the two clubs and unearths a range of collectibles from years gone by, while this week’s archive programme feature includes a look back at arguably the greatest Premier League game ever. To read all of this in full – plus much more – pick up a copy of United on Sunday, which will be available around St. James’ Park and in the club store, priced at just £3. "Our running stats have been a lot higher than other teams. We win second balls, we’re ruthless, we’re passionate. We get on each other when we lose, or if someone’s not pulling their weight, but we encourage when someone’s doing well. That’s exactly what you need, and it’s important we maintain that."